High strength double wall rim from 1664! 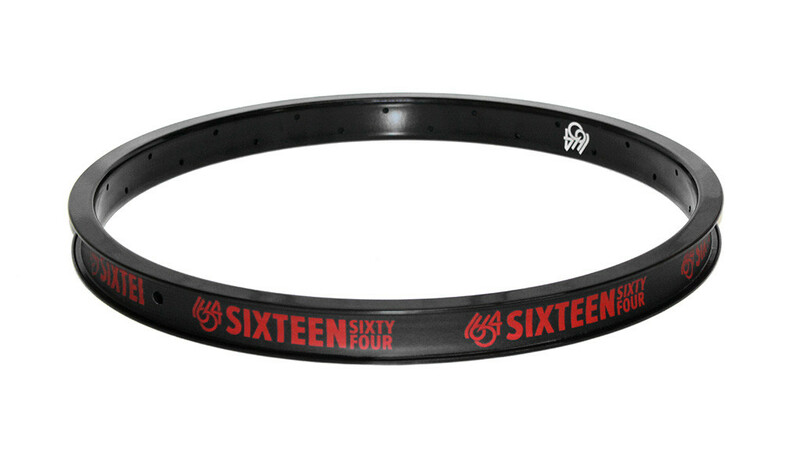 Made with 6061-T6 aluminum, this rim features a high quality welded seam. To cope with the wider tires popular today this rim was given a wider profile, this helps keep the tires properly seated at all times, helping to prevent blowouts. This hard anodized rim provides an optimum braking surface; this rim will perform like a chrome rim. Team rider Isaac Barnes put this rim through hell in order to test it, and this rim came out unscathed.